The term ISOBUS describes a practical minimum scope of functionality for software and hardware from the ISO 11783 standard which ECUs and networks must provide. This is necessary in order to be able to guarantee interoperability between different manufacturers of ECUs at any point in time. Since in the meantime the ISO 11783 standard includes 13 documents that are in different stages of maturation, this allows early implementation of components. 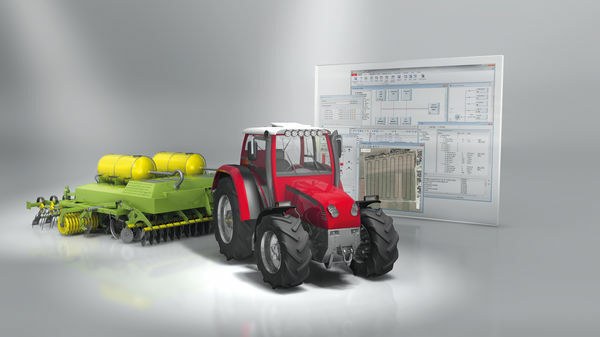 Manufacturer-spanning interoperability between implement and tractor. Use of a single input/output terminal (virtual terminal) for all implements. Vector Informatik is a member and guest of ISOBUS committees and participates regularly in the workshops. Thanks to Vector's expertise and many years' experience in the ISO 11783 environment, you profit from high-performance products and services with which you can solve your challenging problems more efficiently, faster, and more cost-effectively.